Created, designed, and built by Nikolai Zykov in 1985. System: marionette. Materials: papier-mache, foam plastic, foamrubber, metal wire, fiber plastic, foil, ostrich feathers. The puppet has one of the first originally constructed fiber plastic control. 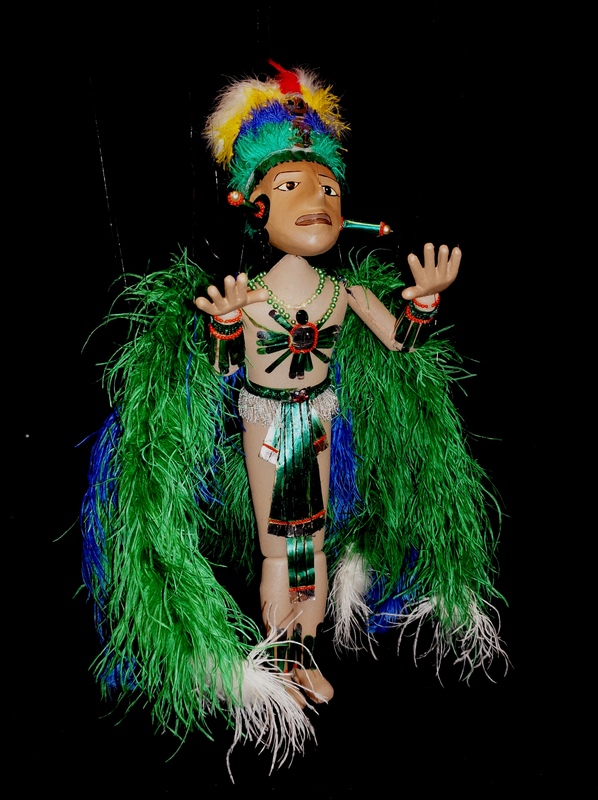 LEADER OF MAYA INDIANS - marionette with transforming feathers which is created according to the legends of Maya Indians about the god Ketsalkoatl (7-th century AC). The Leader of Indians transforms into flying god. The very difficult trick of transformation was added in 1994. See PHOTO ALBUM of LEADER OF MAYA INDIANS. The Leader of Maya in TV show, Moscow, Russia, 1995.